Welcome to the Yampavian Ranch! Habitat enhancement for birds is our primary mission. It's also home to Nancy, John, & their dog Molly. 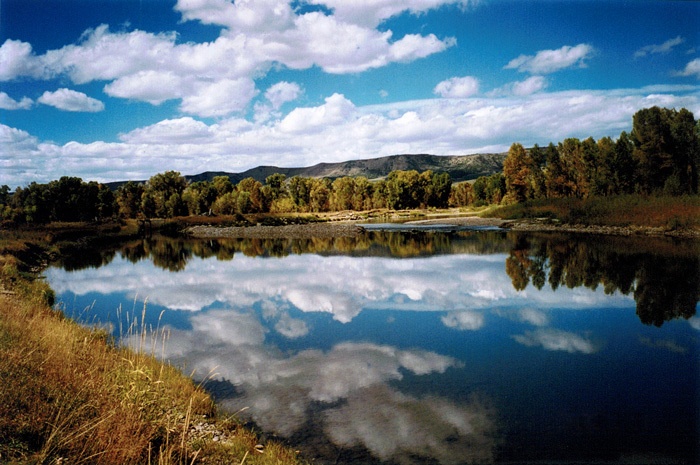 Here is the Yampa River, as photographed by Mike Hexter on September 26, 1998. We are very excited to announce that the Yampavian Ranch Blog is up and running! We are redesigning the site so that the blog will post recent news and updates about what's happening day to day on the ranch, while the rest of the site houses information about the ranch in general. We hope you like the new site, Nancy and Dan are hard at work on it. Feel free to comment in the blog as you wait for the rest of the site to be up and running. Enjoy!